DO YOU WANT MORE FROM THE FITNESS INDUSTRY? Do You Want To Grow Your Business And Make More Money? Do You Want To Spend Less Time On Writing Workouts, Admin Tasks, Email And Spend More Time Coaching Your Clients? Do You Want To Spend More Time With Your Friends And Family And Not Have To Worry About Your Business 24/7? Do You Want To Make A Bigger Impact In Your Community? – Do You Want To Be Part Of A Supportive Team That Is On The Same Mission As You? Training For Warriors is a proven group training system and complete fitness business solution now operating in 30 countries around the world. To learn how TFW can help solve the training and business problems you may be experiencing, click the button above, enter your email and we will get in touch with you immediately. 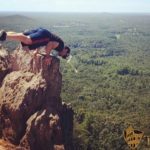 WHY JOIN TRAINING FOR WARRIORS? If you’re reading this, it means that you are interested in growing yourself both personally or professionally. You may be looking to increase your motivation, improve your training and business knowledge and offer group training with confidence. 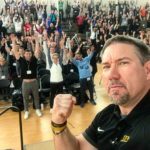 Whether you run a facility, work as a trainer or coach, or just want to take your skills to the next level, the network of Training For Warriors coaches can make this happen and help improve your business. If you want to become more and impact more people, becoming a Training For Warriors Affiliate can help you to do all of this and more.